"Tankhaven II", build 1945, as "Tantallon", by J.A. Jones Constr., Co., Inc., Panama City, Fla.
Engine Type: Nordberg, 1030 SHP, 4,100 DWT. "Deneb", ex. "Stanvac Sunda", ex. "Tankhaven II", ex. "Seal Beach", ex. "Tantallon". For a short period the "Amihan" a type T1-M-BT2 tanker was used by Esso Standard Philippines Inc. 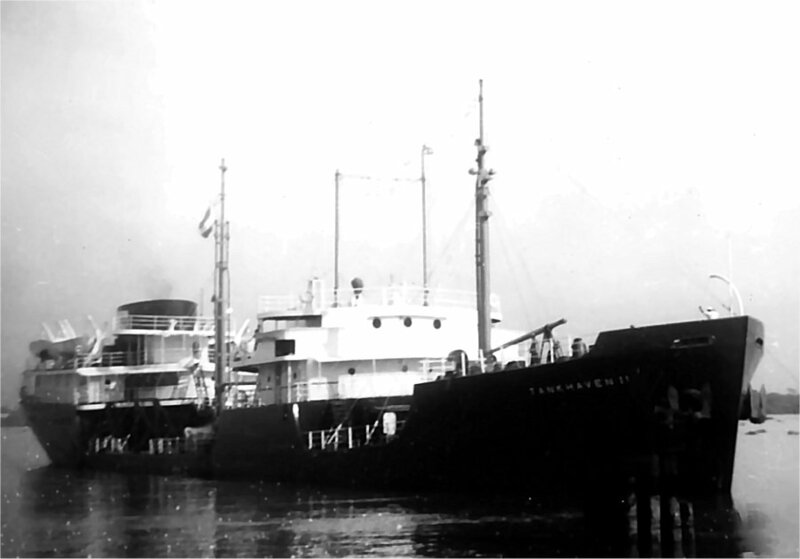 Built in 1945 as "Tantalon" she served only in 1968 for Esso Philippines. For her history, see below. "Deneb", ex. "Stanvac Sunda", ex. "Tankhaven II", ex. "Seal Beach", ex. 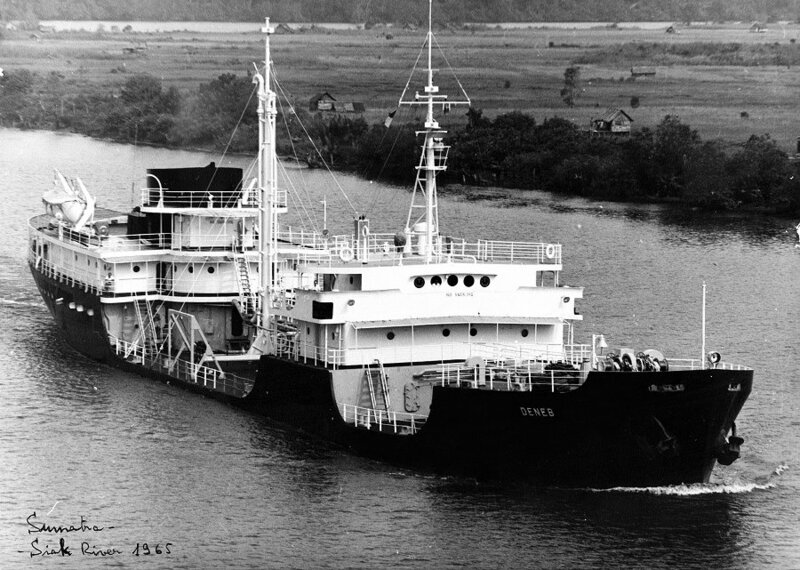 "Tantallon"
on the Siak River, Sumatra, Indonesia 1965.
as "Tantallon" # 2653, for U.M.S.C. Broken up at North Harbor, Manila, Jan 1988, by Boy Aquario. The Miramar Ship Index for "TANTALLON"
NV Gebr.van Uden's Scheepvaart en Agentuur Mij. Petroleum Sg Services Co Inc.
Philippine National Oil Co Tankers Corp.